We have a range of different community spaces available for hire that can meet your needs. 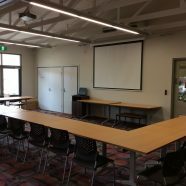 Our Mulitpurpose Rooms are suitable for small and large groups and have IT facilities, access to outdoor spaces and seating available. For more information about hiring one of our room please ask our reception.